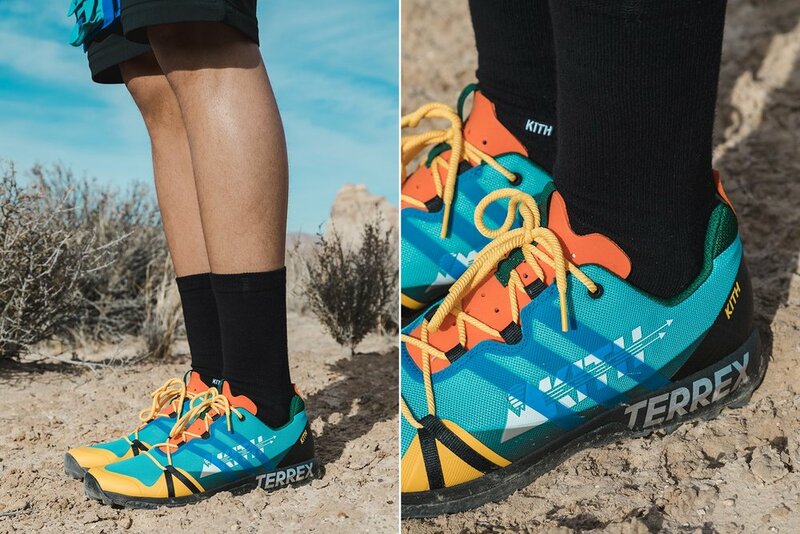 KITH x adidas "Element Exploration Agency"
The Southwest’s uncanny balance of tantalizing vistas and treacherous conditions can be as rewarding as they are daunting, as the brutal elements and dangerous landscape is not for the faint of heart. Those who cannot only endure but conquer these harsh conditions, however, can have experiences that most never will. These outdoor pioneers and their camaraderie serve as the inspiration for Kith’s creation of the Element Exploration Agency. Three adidas Terrex styles are reimagined by Kith, including the Jawpaw Slip-On, the Agravic, and the Response TR Boost. Each model features a unique colorway that aligns with the three color palettes of the collection. These colorways also symbolize the intended usage of the footwear, which ranges from water sports, mountain climbing, and hiking. The Kith Utah Collection will be released at all Kith shops and at 11AM EST on Kith.com on March 30th.